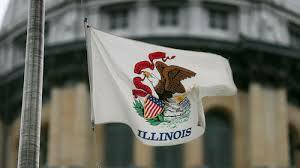 glen brown: How Well Did Illinois Score in “Is School Funding Fair: A National Report Card,” February 2018? How Well Did Illinois Score in “Is School Funding Fair: A National Report Card,” February 2018? Using figures adjusted to account for a variety of interstate differences, this measure allows for a comparison of the average state and local revenue per pupil across states. States are ranked from highest to lowest in per pupil funding. This measure shows whether a state provides more or less funding to schools based on their poverty concentration. States are evaluated as "regressive", "progressive", or "flat" and are given letter grades that correspond to their relative position compared to other states. This measures differences in state spending relative to a state’s fiscal capacity. States are ranked according to the ratio of state spending on education to gross state product (GSP) and personal income. This measures the proportion of school-aged children attending the state’s public schools and also addresses the income disparity between families using public and nonpublic schools. States are ranked according to both the proportion of children in public schools and the income ratio of public and non-public school families. And it looks like, once again, the "Fair Tax" bill up this session is going to die in the Rules Committee.